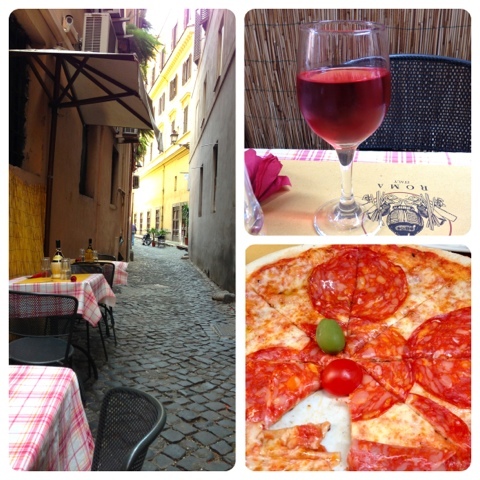 Pizza Diavola, wine, and a warm Rome day. I did have to dodge a few scooters in this alley, but not one managed to steal a slice of my pizza. Veni, vidi, vici.